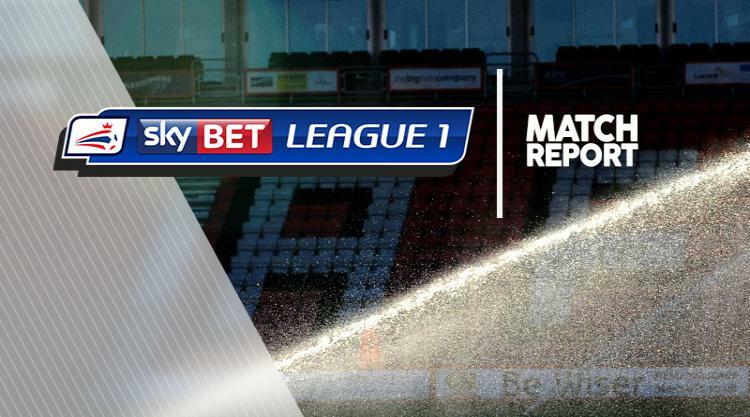 MK Dons stretched their unbeaten run to four matches after claiming a 2-0 win at Bury. The hosts also hoped to go four unbeaten in League One but fell behind to Osman Sow's sixth-minute opener. Former Bury loanee Ethan Ebanks-Landell then headed home on 67 minutes to make it 10 points from 12 for Dons, sending them up to 10th. The visitors bossed the early stages, with Sow firing in his second goal of the season from Scott Golbourne's through-ball. Bury replied with Michael Smith's close-range effort being blocked by goalkeeper Lee Nicholls, while Josh Laurent fired into the side-netting. Kieran Agard twice went close to doubling Dons' lead before Bury enjoyed their best spell after the break. Smith and Chris Humphrey tested Nicholls before Phil Edwards and Smith were off target. But Alex Gilbey then forced stopper Leo Fasan to turn his shot wide and Golbourne's corner saw Ebanks-Landell clinch victory. Nicholls then prevented Mihai Dobre, Chris Maguire and Laurent pulling a goal back, while Dons substitute Chuks Aneke was denied by Fasan.